We provide experiences and opportunities based on children’s interests and learning through play. 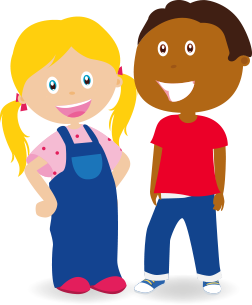 If your child is under 3 years of age they are required to attend for 2 full days (we do not do half day sessions) and if they are over 3 years of age they have to attend for at least one full day or two morning of afternoon sessions. The four group rooms in the nursery offer a wide variety of activities and play experiences, to enable your child to develop to their full potential. Jellybabes room provides a stimulating, warm, caring and secure environment for babies aged 3 months to 16 months approximately. 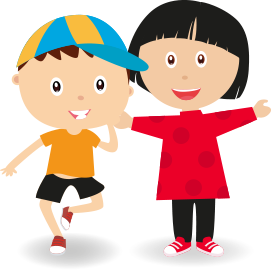 We provide a relaxed and loving atmosphere into which parents can feel assured that each child’s key person will work closely in partnership with you to provide the highest quality of care. The focus of this room is to be flexible ensuring every baby is nurtured with love and cuddles and their individual routines met. We offer a range of activities both indoors and outdoors, which encourage and promote all round development, from music to relaxation and physical stimulation to social skills all of which will enable your child to reach their full potential. Our waiting list is now closed for 2019 places. The list will be reviewed in May 2019 and re open on 3rd June 2019 for places from January 2020. 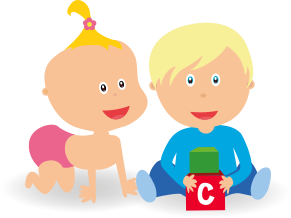 This will be for children who will be under 1 year of age at the start of nursery. Jellytots is a nurturing room for a smaller number of children, although the ages are flexible in accordance with individual children’s developmental needs. 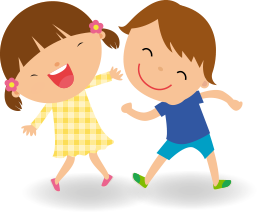 A gentle friendly atmosphere is created within Jellytots based on warm and caring relationships between staff and children. The provision of this room is for six toddlers offering a variety of small group play to encourage many areas of development including personal, social and emotional progression. At the same time the staff enjoy observing and supporting each child’s individual character blossom. As they develop and become more inquisitive we provide our toddlers with activities such as arts & craft, sand & water play by involving stimulating and educational resources. Rainbow room provides an environment that stimulates, educates and develops children of 2 – 3 years in a happy and secure way. In Rainbow Room we provide a cheerful environment into which children are welcomed. This room offers table top activities as well as a quieter comfy area for stories or relaxation. Creative and messy play is always great fun to explore as well as physical equipment with challenging opportunities. As Personal, Social and Emotional development continues to grow, children are encouraged to share by small group work and free flow play throughout the room. They are also encouraged with self care skills such as hand washing and toileting. Our pre-school room builds on children’s continuity of care learning and development to promote with their transitions to school. Creepy Crawlies is an exciting room with a range of play equipment available to help children develop an array of skills, and great care is taken to choose materials that will create an inspiring sensory experience. As well as toys, we use real life props, such as brushes and gardening tools, and small-world play to help build a child’s imagination and language skills. Construction play is also available to help children develop fine motor skills and problem solving. Our garden offers a variety of age appropriate equipment, with tricycles, and balance beams, as well as stimulating features and sensory play areas, such as secret tunnels, a sand pit, wildlife areas and playhouses. All transitions are supported to school with a large emphasis placed on encouragement of independence and self care. Our waiting list is now closed for our pre school room. This will open in January 2020 for children to start from September 2020 on wards.